Gold everything. 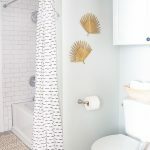 I’m considering that as the new title of my blog… but seriously, are you loving all things gold as much as I am right now? Especially this fall, it’s so fun adding a little element of glam to something traditional. 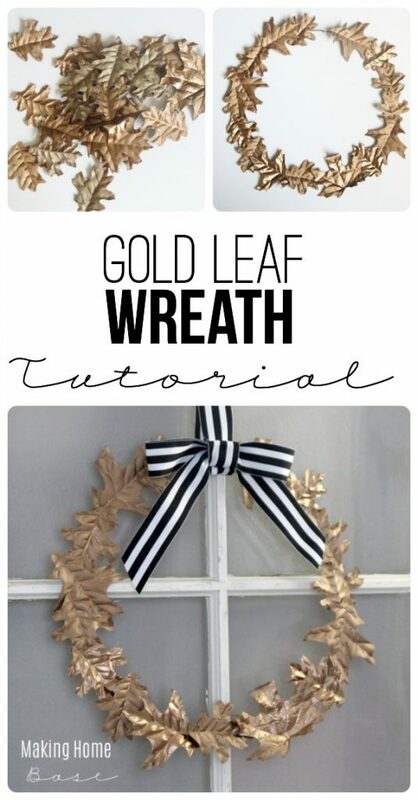 In this case, gold leaves in a fall wreath. But I’ll tell you what – the inside of my house is saying FALL, even if it’s 99 bazillion degrees outside. This fall wreath came about after I painted those faux leaves a few weeks ago. After I had a pile full, they were whispering to me, okay maybe that was the fumes from the spray paint but I mean really, a fall wreath from gold leaves. Seemed genius to me! You guys know I like cheap, easy, and fabulous projects. This one fits all of those categories for sure. Ready to make one? It’s true. I actually had a wire hanger in my closet. Does anyone still have those? If so, you are in luck. If not, I think some good floral wire would work fine! 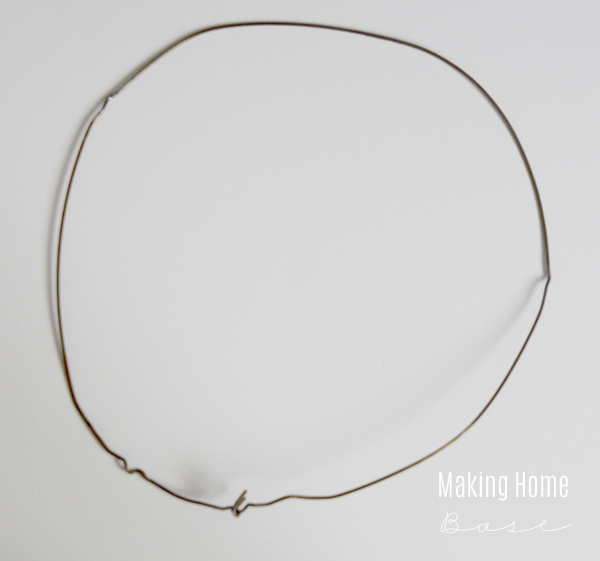 You’ll want to shape your wire into the desired shape. In my case, it was a circle or as round as I could get it ha. Grab a big ol’ pile of leaves that you’ve painted gold. 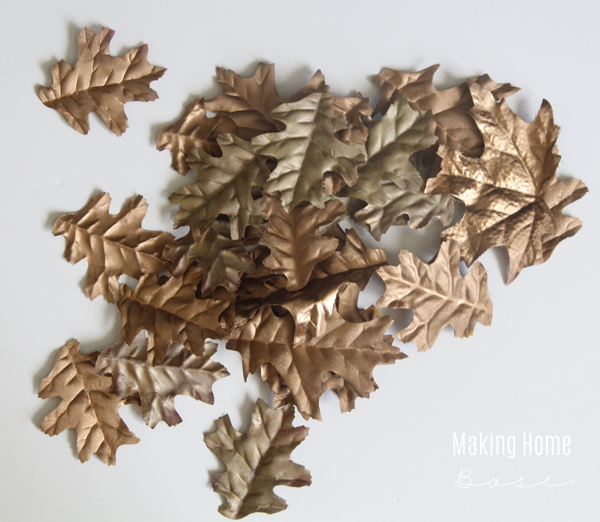 See more about painting faux leaves here. 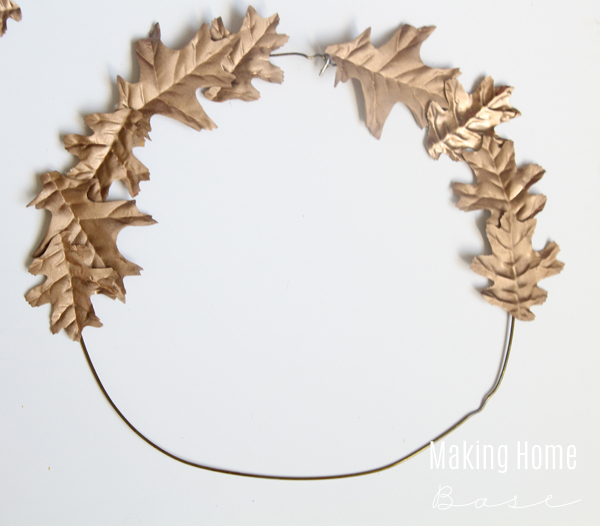 Next, just start gluing your leaves onto the wire using a hot glue gun. Keep going all the way around your wreath. I left a gap at the top of the wreath for the ribbon. I chose a black and white striped ribbon for a chic and sophisticated look. Side note: My daughter’s been walking around my house for the last few hours with a piece of ribbon tied around her waist calling it a tutu. Probably the cutest thing ever!! 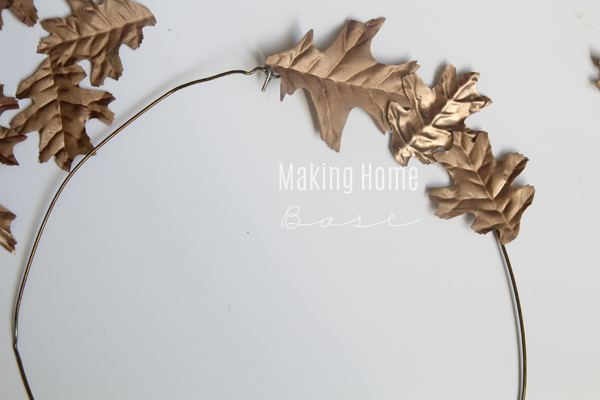 So that’s what’s new at Making Home Base today! How are you spending the first days of fall? Want more gold? 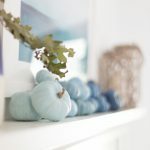 Check out my contribution to The Home Depot blog with my DIY Large Scale Wall Art! I love this! I’m in love with wreaths anyway, but i’ve never made one. I know I know. Happy Tuesday! There can never be too much gold. 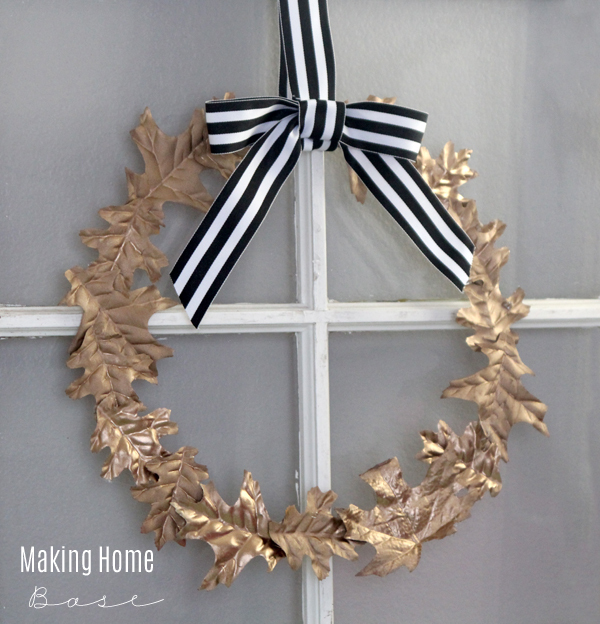 This is such an elegant wreath! One that could definitely stay displayed all season. don’t you love it? yayyy!!!! I love gold everywhere too!! Especially with white and mixed with modern elements. Beautiful and simple wreath. Thank you! GOLD EVERYTHING!! 🙂 Happy fall! So simple and pretty Chelsea- pinned! I still love this project and just noticed I commented on it last year! 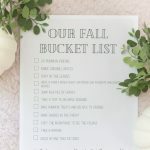 I’m pinning again! !